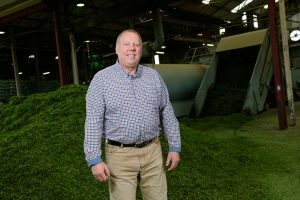 David is based primarily on the production side of Emerald Green Feeds and has spent many years running the grass drier. 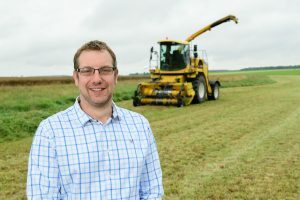 In addition to this he works on the sales of the business, as well as working closely with the Green Crop Driers Association on legislation, David keeps the team up to date with regulations and information related to the association. Life away from the farm sees David and wife Lynne taking to the roads on their motorbike. 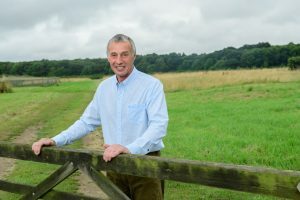 Working mainly in the office and on the arable side of the farm Peter is integral to Emerald Green Feeds sales and promotion, working both in th office and on the promotional stand at shows and events. He is probably the person you will speak to if you call us and is often found helping out making samples in preparation for events as well as visiting prospective stockists. When he’s not on the farm or at a show Peter can be found enjoying the countryside out walking with his wife Louise. Predominantly based in the field Mark oversees the harvesting and life cycle of the crops that are grown for Emerald Green Feeds, he drives the forage harvester on a daily basis and helps out on the show stand when farming allows. Mark can be seen sat behind his drum kit playing in his covers band when away from the farm. Working at home on the farm since leaving college, Howard is based predominantly in the grass drier. 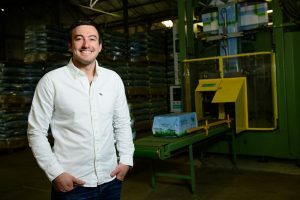 With the introduction of Emerald Green Feeds he has taken on the role of product development and is keen to increase the product range in line with feedback from customers. Howard likes to spend his spare time doing track days with his motorbike as well as helping his wife, Heather with her endurance riding. Based in the office Louise looks after the accounts and ordering, she’s the friendly voice at the end of the phone and the one who packages up the samples ordered online. Louise is also a great help with promotion of the business, she often works on the stand at shows and goes out to see potential stockists. 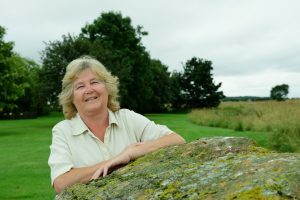 When not working for Emerald Green Feeds Louise can be found spending time with her children and grandchildren. 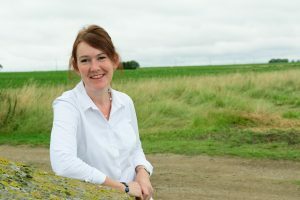 Responsible for the marketing and publicity of the Emerald Green Feeds Brand, Sarah works in the office, updating the website, writing editorial and advertising all fall on to Sarah’s desk as well as helping out on the stand when the demands of 3 small children allow. 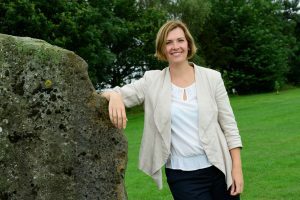 When not at work Sarah can be found doing the school run and being a taxi to children’s activities. Part of the promotions team Lynne helps out on the stand at shows and exhibitions as well as lending a hand to husband David with his paperwork in the office. When she isn’t out on the Emerald Green Feeds show tour Lynne can be found carrying out beauty therapy treatments from home.